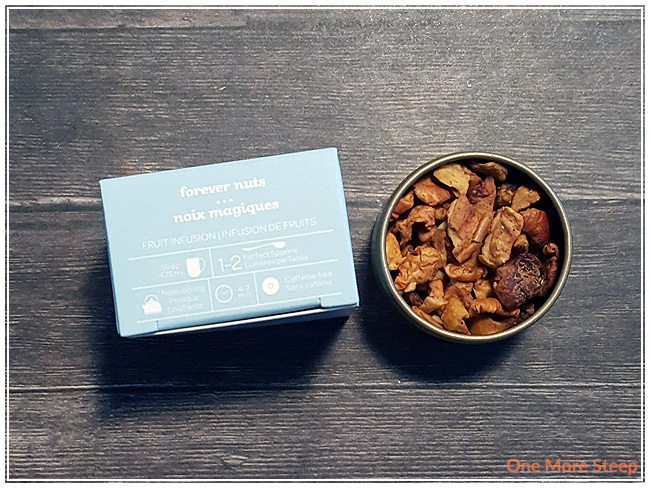 Oh, Forever Nuts – one of my favourite pink teas. 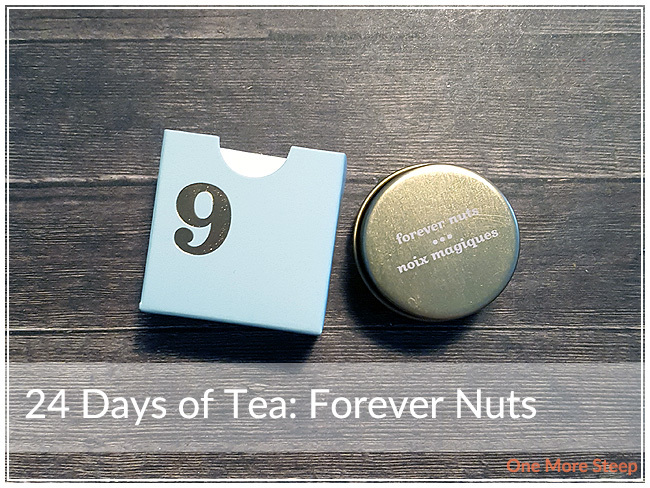 I posted a review of Forever Nuts back in January 2016, so I won’t be going in depth on this tea again. There has been an increase in price, and I used the entire contents of the little advent calendar tin for my cup of tea because of the large pieces of this herbal tea mix. Forever Nuts is made up of: apple, almonds, cinnamon, beetroot, and artificial flavouring. 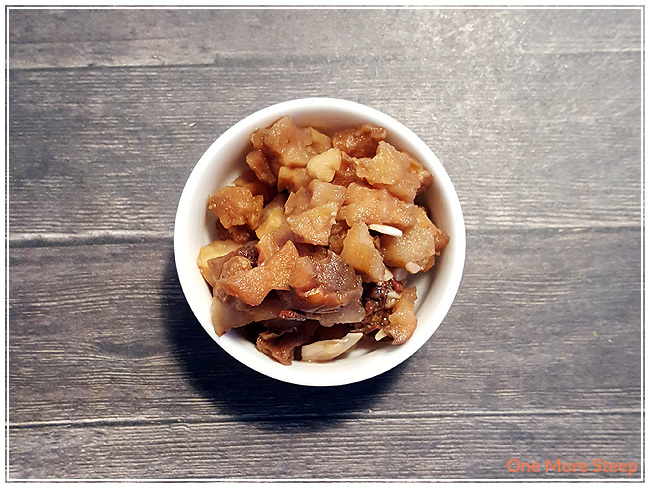 The preparation for Forever Nuts is to steep in near-boiling water for 4-7 minutes (same for both packaging and online product page), where near-boiling water is 90-95°C/194-203°F. I quite enjoy Forever Nuts, it’s not my first time trying it. I love the fact that it turns a surprising shade of pink and there’s a heavy fragrance. I’ve noticed that this little tin has more almond smell to it than when I’ve previously steeped Forever Nuts. I think it may be because the tin had more almonds in it compared to other ingredients. I find Forever Nuts to have a sweetness to it, so I don’t bother adding any sweetener to it. However, my favourite way of preparing Forever Nuts is as a tea latte. 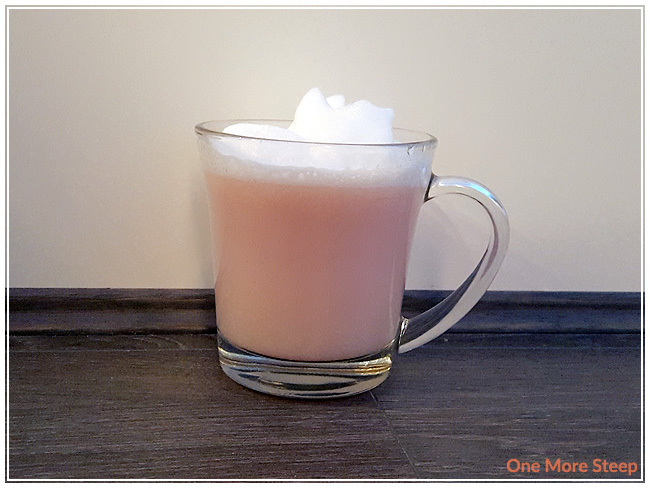 I have a tutorial on here about how to make tea lattes at home without fancy equipment. I do not resteep herbal infusions, Forever Nuts is not an exception. I liked DavidsTea’s Forever Nuts. From the colour to the flavour, it’s clear why Forever Nuts is considered to be a DavidsTea Fan Favourite when it comes to their extensive tea wall. The one thing that really keeps it from being a 4 cup rating for me is the fact that it’s not a tea that I reach for or think about enough to want to keep it in constant rotation in my tea stash. 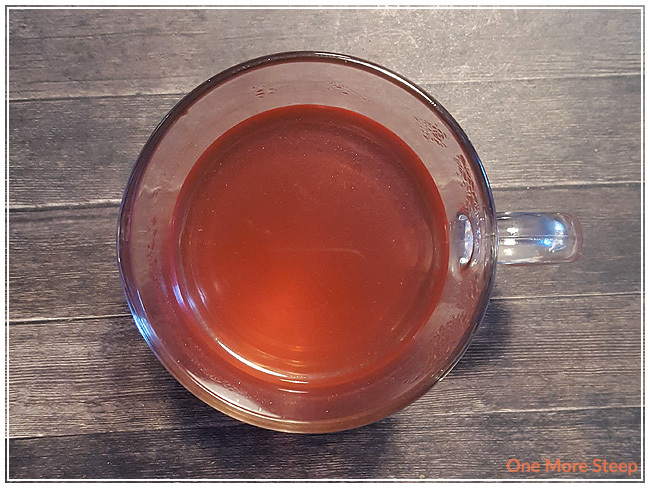 It is a fantastic blend though, and I like keeping a little bit of it around because it’s such a fun tea to have on hand to offer to guests.